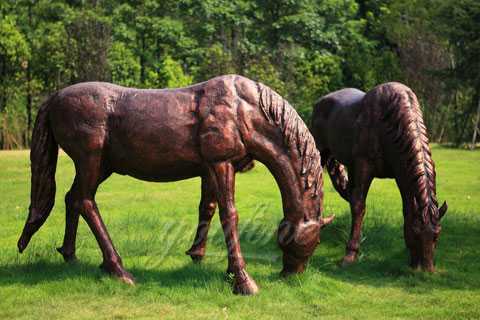 This bronze eating grass standing horse sculpture measures H 150cm,Length 240cm the other dimensions are done proportionally.It is handmade and cast in the traditional Lost Wax Casting Process. 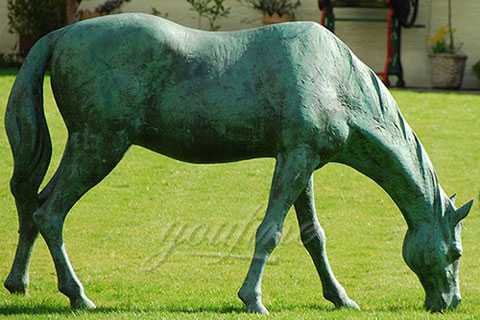 This bronze eating grass standing horse sculpture measures H 150cm,Length 240cm the other dimensions are done proportionally.It is handmade and cast in the traditional Lost Wax Casting Process. 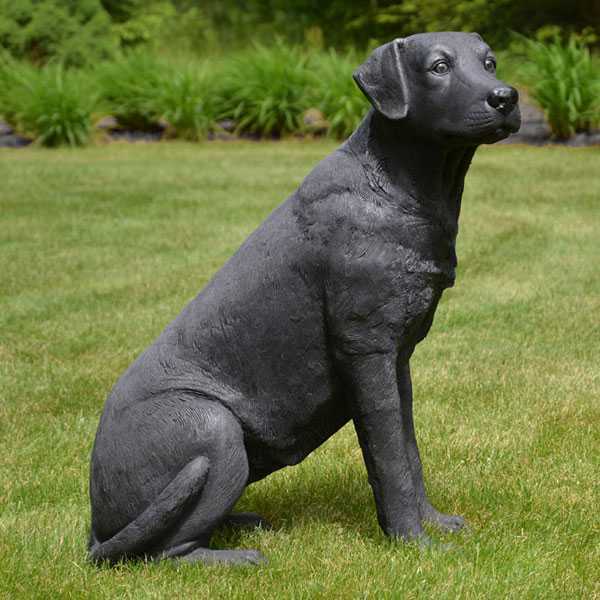 This insures a quality bronze sculpture that may be passed down from generation to generation.This is a good piece for outdoor gardens,a park, or a cabin.This piece will last forever outdoors. 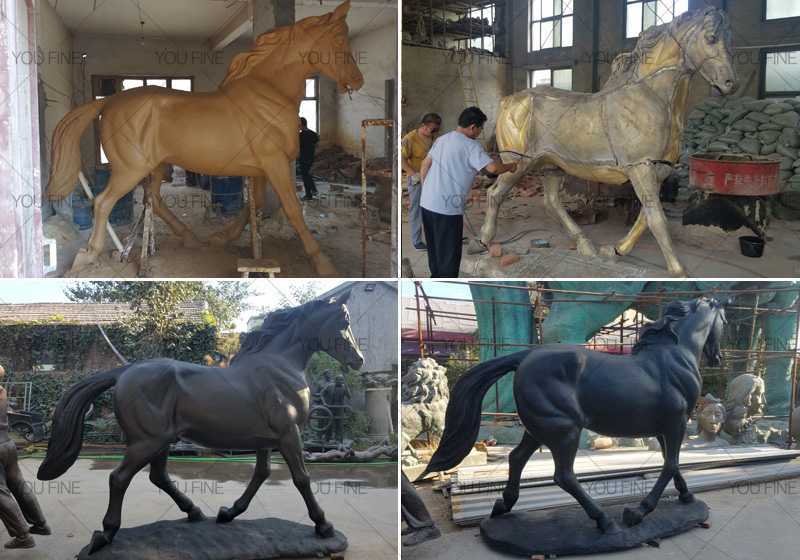 As a leading manufacturer of bronze sculpture with more than 30 years experience, You Fine specialized in bronze horse statue of different style. 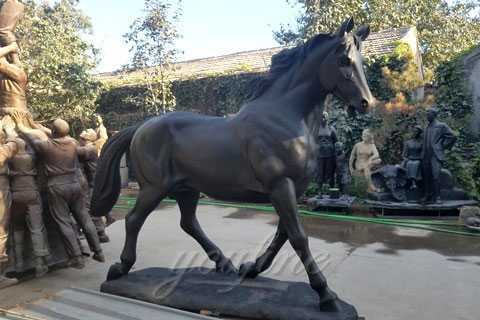 The bronze eating grass standing horse sculpture is our hot products every year, which is simple and classical, is the wonderful decoration for your garden, backyard, hotel, square,etc. 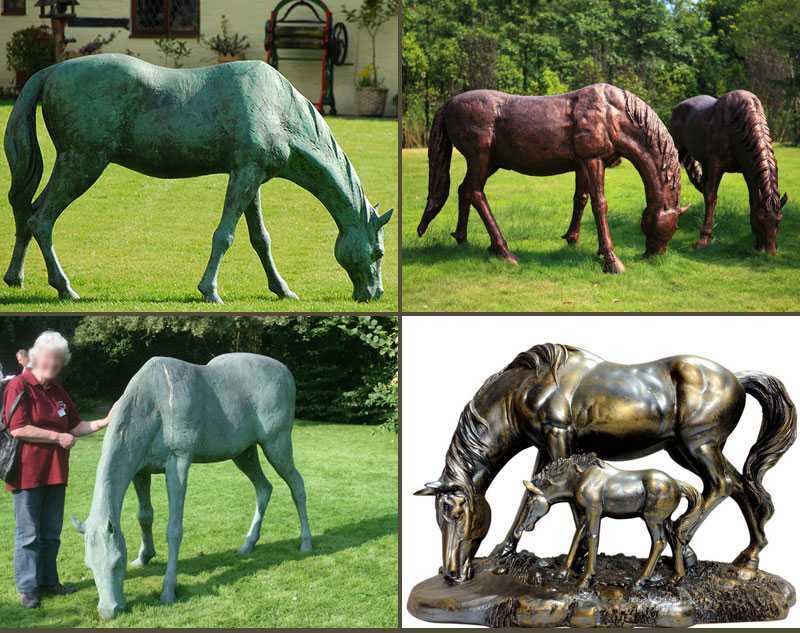 If you see one of our bronze eating grass standing horse sculpture that you like but would prefer a different colour finish we will be pleased to arrange this for you.Where sculptures are listed as a pair we can, apart from very small sculptures,supply you with just one piece. 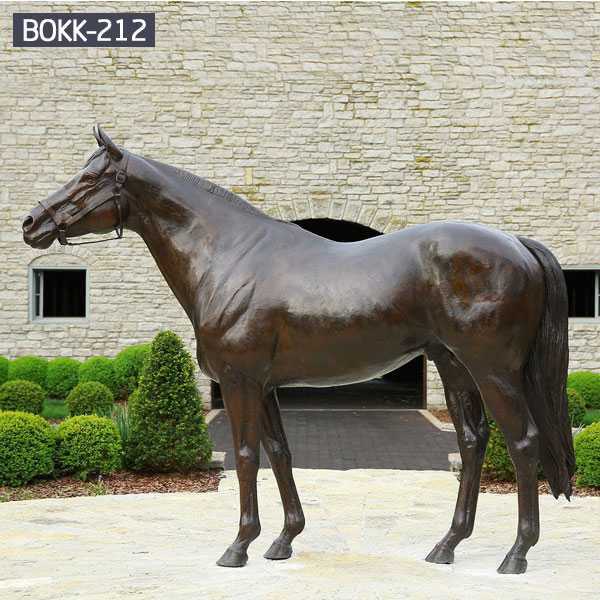 No matter the style you are looking for, You fine Sculpture is sure to have many selections to suit your personal decor and lifestyle.Installation and maintain: every bust and other sculptures attached the installation instruction, also welcome to consult to our sales at any time. 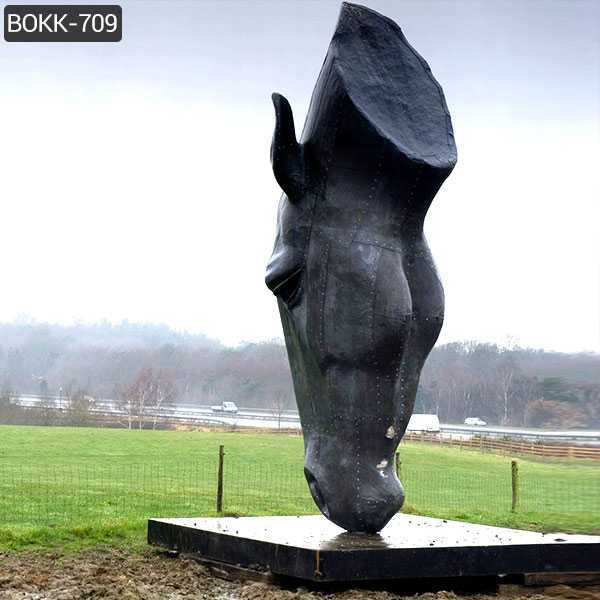 If this bronze eating grass standing horse sculpture is not your style,don’t worry,we have lots of bronze horse Sculpture in our factory,welcome you contact or visit our factory at you free time! 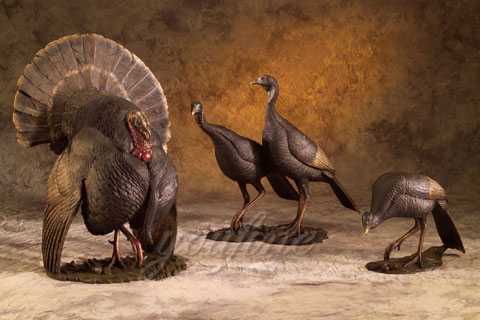 We check our competition quite regularly, so our prices are usually at or below the lowest you will find. However, we don’t want to lose your business over a few dollars. 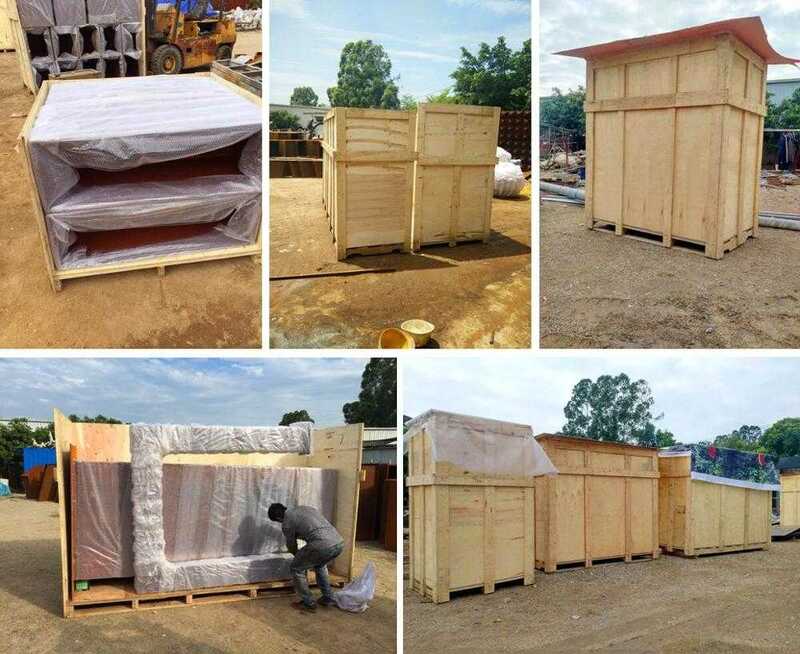 If you see the same item with the same quality for less someplace else we will match that price and still provide you with the same customer service.However, there is a lot of junk out there, so please don’t ask us to match prices on imports from Vietnam and Thailand. 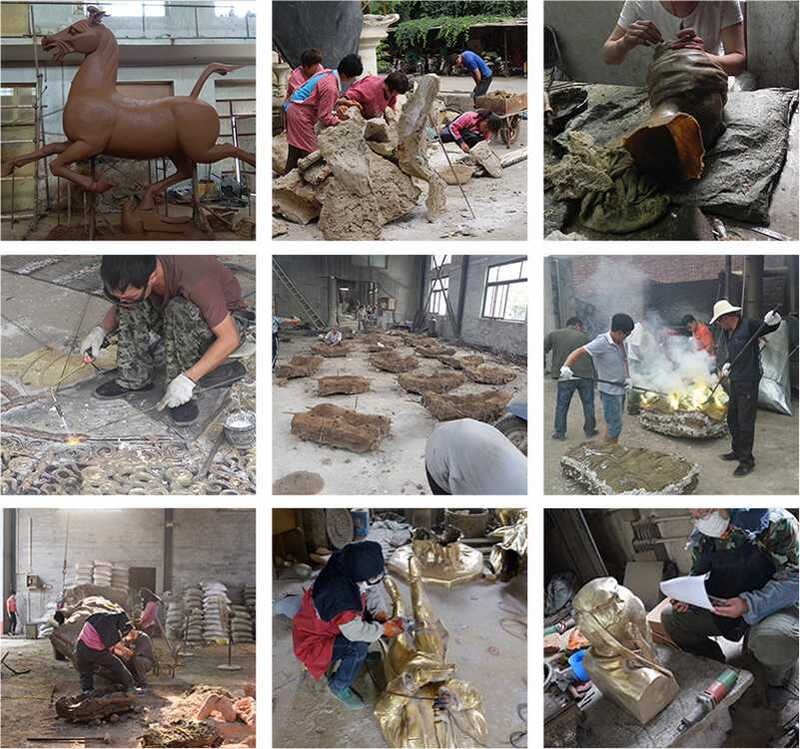 In recent years,bronze sculptures have played an important role in people’s lives.It has become a performance art that guides people on how to understand bronze sculptures.Then, the meaning of bronze carving crafts is not only here,but the aesthetics of bronze carving crafts is also an art,which is also the value of bronze carving crafts. 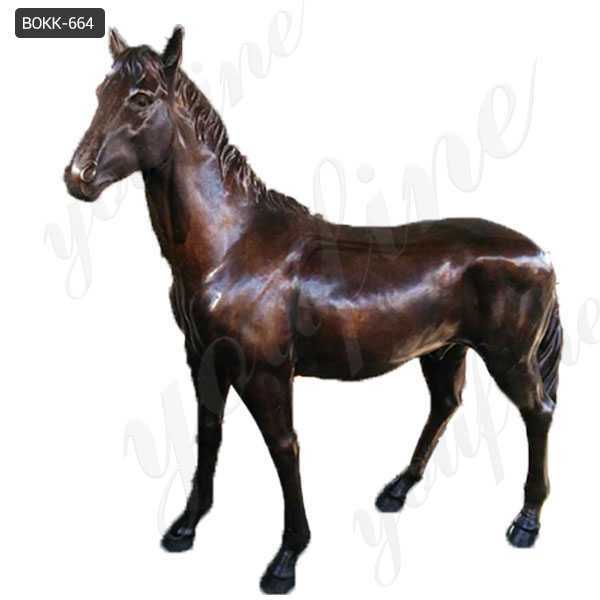 Any requirement about bronze eating grass standing horse sculpture,or want to custom made any animal sculpture in bronze ,this is the right place to choose from,waiting for you querying all the time!